You are here: Sewickley Public Library > Events & Programs > Recent News > News and Programs > Battle of the Books for Adults – Registration is CLOSED! 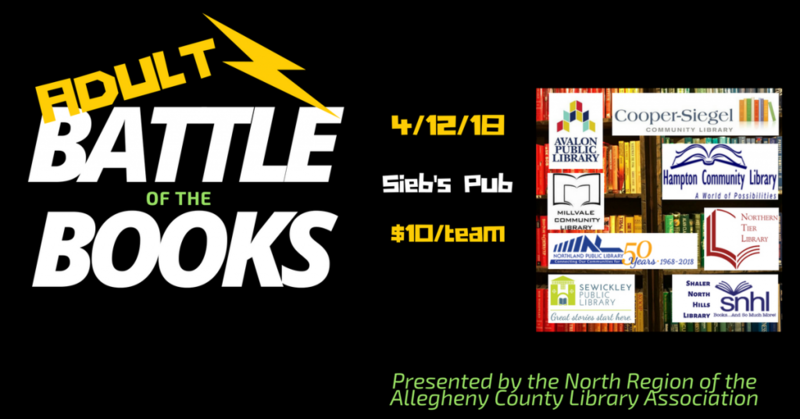 For the first time ever, the North Region of the Allegheny County Library Association is holding a Battle of the Books for Adults! Why should the kids have all the fun? We look forward to seeing all of you and Happy Reading!